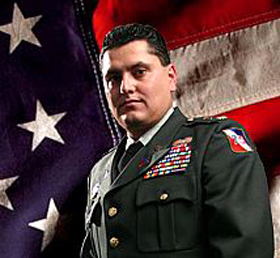 Our featured guest today is an American hero - Major Ed Pulido. Major Ed gave his leg while serving in Iraq and has taken that difficult period of his life and turned it into a powerful, motivational message on behalf of the Folds of Honor Foundation. Folds of Honor provides educational scholarships for the families of fallen heroes across the nation. In this episode, you'll learn Major Ed's story, about the inspiration for Folds of Honor, and what it means to be a true patriot. As a unique feature of the Big Impact, we will conclude each program by asking our guest to name a charitable cause important to them…and then we will make a donation to that cause. Our hope is that YOU will help us deliver a big impact to our guests' chosen causes each week. How? Our donations will depend on your partnership, so please give it a try - help us make a big impact on behalf of those who share with us on Big Impact!